Milford Lumber carries siding material for a wide variety of applications. For traditional wood siding, we have clear vertical-grain western red cedar bundled in 16′ lengths. This siding is fully primed with an oil based primer and fully reversible to expose either a smooth or rough sawn exterior face. We also have natural cvg western red cedar in random lengths where a stain or natural finish is desired. For a more durable and low maintenance siding, we offer fiber cement siding in either a textured or smooth finish. This material comes in 4 standard widths and may be primed or colored. Fiber cement trim boards and accessory sealants are available. Another option includes vinyl siding which is low maintenance and more economical. Vinyl siding comes in several styles and offers 16 colors to choose from. 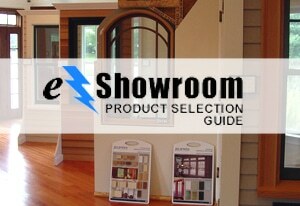 Accessory products include, J-channel, facia,soffit, corners, vents, and shutters. Shakes and shingles are also available and may be white cedar, red cedar, fiber cement or vinyl. A popular design technique is to use shakes or shingles as a decorative element in conjunction with conventional siding. Whatever your siding needs, Milford Lumber has you covered!